MIAMI -- Bam Adebayo said it best: "God that was amazing." A truly unforgettable night at American Airlines Arena, where Dwyane Wade, given where the Miami Heat sit at six games under .500 and on the outside of the playoff picture, may have walked off his career in the most dramatic fashion possible by banking in an absolute desperation, buzzer-beating 3-pointer to stun the Golden State Warriors, 126-125, on Wednesday. If you weren't in the arena Wednesday night, I'm sorry. That clip, this story, nothing you read or see or hear about is going to do that moment justice. You had to be there. If you were, you'll never forget it. The "raw, genuine emotion," as Heat coach Eric Spoelstra put it, was frenetic. Childlike. Madness. Every word you could come up with and then some. "I feel like everybody in that arena was so lucky to be here to see that," Adebayo told CBS Sports. "It felt like everybody was down on the floor celebrating with us. To see him make so many of those shots, growing up just being a fan of D-Wade, and then to be a part of this game, man, I might not sleep tonight. I'll remember this forever." What people won't remember is that Wade had to hit another huge 3-pointer with 17 seconds to play, which cut Golden State's lead to one, for any of this to even be possible. When Durant missed one of the two ensuing free throws, the door was open. Now down two, Wade tried to penetrate with a hesitation and go, but got nowhere. He pulled it out, found Dion Waiters, who found no daylight, either. Back to Wade, who rises for a shot, but Kevin Durant gets a hand on it, then Jordan Bell gets another hand on it -- just enough to disrupt Wade's shot, but not enough to dislodge the ball; that part was Wade having the Hall-of-Fame presence of mind to let go of the ball, because if he comes down with it in his hand, it's a travel. Somewhere in the middle of all this, Wade also had the sense to check the shot clock on the other end of the floor. He recovers possession and gets up the heave in the nick of time. Warriors coach Steve Kerr said he knew the shot was good "once it came off his hands." Next thing you knew, Wade was flying around the court like a little kid. There was no playing it cool. No pounding the chest or stare downs. He was as shocked, as euphoric, as everyone else. "I don't know. I was just running. I was just having fun," Wade said of his reaction. "I have no idea. You don't plan it. It is an out-of-body experience. ... It was special for me. ... It was definitely one of my toughest game-winners I've ever hit. ... [It was] great to do it in front of the fans. I told Steph [Curry], 'I needed this one on my way out.'" The Heat needed it, too. Say what you want about the bottom of the East, but this is a proud, tough team that is right on the playoff cut line. The room for error coming down the stretch is basically zero. For bubble teams, every loss almost counts double this time of year. "It kind of felt like March Madness again," Heat forward Justise Winslow said. "Man, he was unbelievable," Goran Dragic said of Wade, who finished with five 3-pointers -- tying a season high -- and scored 10 of his 25 points in the fourth quarter. "What was really funny to us, he was sprinting faster [after he made the shot] than [he was] in the game. We tried to catch him but we couldn't. That's D-Wade. History speaks for him. He makes so many game-winning shots that nothing is surprising." Dragic is right. Wade has hit a ton of huge shots in his career, many in a lot bigger games than this one. But context is everything. This felt like Derek Jeter's walk-off single in his final at-bat at Yankee Stadium. The Yankees didn't make the playoffs that season. It was nowhere near the biggest hit of Jeter's career. But the moment, man. It captured, even encapsulated, everything. You couldn't have scripted it. And you couldn't have scripted this night in Miami, either. "I gave him a huge hug in the locker room as soon as we broke the huddle. I couldn't even wait. I bear-hugged him," Spoelstra said. "His raw, genuine emotion after the play, [it's] my favorite [game-winning shot] that I have seen him hit. After 16 years in the league, just that raw joy is what it's all about." You think about the shots Spoelstra has seen Wade hit. For him to say that ... wow. But you can understand it. Wade will play out the rest of the season. Maybe the Heat squeak into the playoffs, maybe they don't. Either way, this moment, this shot, captured it all. A city's love for Wade. Wade's love for HIS city. The high note isn't always the final note, after all, and when it came time to find his range, the man they call Flash brought the house down one more time. 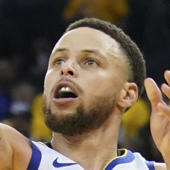 "I just realized I won't ever play against [Wade] again, and it's a crazy feeling," Warriors forward Kevin Durant said. "He's done so much for the game. He's such an amazing player and person. I've been watching him since middle school, and this is one crazy way to go out with an ending like tonight." To Durant's point, these moments usually take time to settle in. Immediate perspective tends to be unattainable. But not this time. Those who were here, those who were on the floor, know what they saw. What happened. What's been happening for the last 16 years. It all came into focus as one of the best teams in history stood on the court in awe of what one of the best players in history just did to them. Strange as it seems for a team that just lost, they appreciated it. You could see it in the way they all embraced Wade. Hugged him. Laughed. The way they talked about him after the game. If they're being completely honest, most players, most athletes in general, will tell you they play for the respect of their competitive peers as much as they do the actual winning. Deep down, it means more to many of them than any accolade. Any trophy. Even any ring. D-Wade just put an exclamation mark on what will flat out go down as one of the most respected careers in NBA history. And it was absolutely incredible to watch. "There's something special about what he did tonight," Curry said. "I'd much rather see him jumping on the scorer's table when we're not playing against him, [but] what he's done for this city is amazing and I know how much Miami loves him."